The Brookings Institution ranked FIU sixth on its list of selective, public, research-generating universities with the highest levels of low-income student enrollment. In a paper published this summer, the prestigious nonprofit public policy organization analyzed the nation’s 342 four-year, non-mission-oriented public universities to ascertain which institutions are the best stewards of public funds. Authors Dimitrios Halikias, a research assistant, and Richard V. Reeves, a senior fellow of economic studies, looked at two factors: upward social mobility, which universities offer opportunities to the most low-income students thus serving as ladders – and which conduct the most research thus serving as labs for society in general. “Combining the two datasets allows us to estimate the share of America’s selective, public, four-year universities that succeed in promoting opportunity, producing research, both, or neither,” the researchers noted. FIU succeeds at being both ladder and lab. As a R1 institution – “highest” research university as defined by the Carnegie Classification – FIU produces valuable knowledge that enriches society. The university simultaneously attracts low-income students. 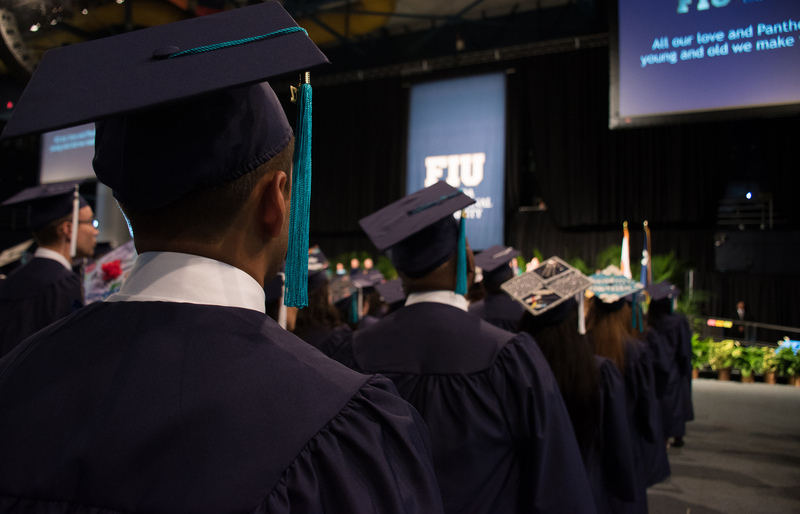 Through internships, fellowships and partnerships with public and private organizations, FIU has created direct pathways to employment, pushing them up the income ladder after they graduate. “We are proud to serve both our students and our community. We’ve created an environment that attracts students from all economic backgrounds and exposes them to top research programs in child mental health, disaster resilience, and studies aimed at addressing environmental challenges,” Provost and Executive Vice President Kenneth G. Furton says. “As a result, we are both fueling job creation and graduating students who are well prepared for the job market. According to Brookings, just 20 percent of America’s public universities manage to accomplish both objectives.